If you sift past the endless (and mindless) questions on all things random at Quora, it’s a treasure chest of multiple rewards for marketers and business owners. 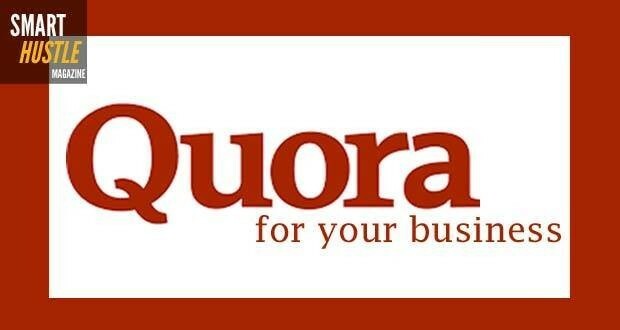 Quora has a mind-boggling 1.5 million visitors worldwide per month and your participation on Quora is a great way for you to demonstrate your expertise, give direct answers to people’s problems (you should limit advice to what your business deals with), gain valuable insights, and get direct traffic to your website. With over 1.5 million visitors worldwide per month, Quora is a great way to demonstrate your expertise, give direct answers to people’s problems and get direct traffic to your website. Getting started is easy. You create your profile, find and follow others, and then follow the tips that Kristi Hines advocates on her blog for KissMetics. In addition, I am going to share what I found that works for me on Quora to earn business, get invitations for guest blogs, and make tons of long-lasting professional relationships. Do what I did and you’ll see some success too. Funny that I write this, since your participation – complete with your passion, time, energy, and knowledge --- on Quora is precisely for business. It’s for getting leads. It’s for selling. Your direct answers and comments on others’ answers are a part of your digital footprint. Expertise allows you to answer right. Right answers get you attention. Attention gets you hungry traffic. Hungry traffic leads to conversions. Use #Quora to drive traffic to your site, increase credibility and gain more #business! Let’s say you own a digital marketing agency, keep an eye out for topics related to digital marketing, web marketing, social media, email marketing, PPC, SEO, SEM, and more. Similarly, you can track and follow topics (as opposed to just people) that are of relevance to your business. Once you track and follow, relevant questions always pop up the moment you log into Quora. When you find a question you can answer, write with passion. Let your personality flow and answer with your heart. It doesn’t matter if you don’t get comments, up votes, or social shares. What matters is that you answer in a manner that makes others sit up and take notice. Keep your answers precise and to the point. Don’t drone. Don’t rant. Don’t write a story, unless there’s a takeaway from that story. When tackling a question, don’t deep dive into your answer right away. Read through all the responses to that question, pick nuggets of information that you can concur with, and mention those Quora users writing that you agree with them (you can also disagree with them, of course) using the "@" symbol. Doing this adds more credibility to your answer, makes you social immediately, and also makes you a much more agreeable person. Why, you ask? People like to do business with nice people. That’s why. Remember the part about digital footprint? Quora allows you to blog on their platform. It’s your way to establish a parallel presence apart from your own blog, social engagement, and email nurturing. Run simultaneous thoughts on your Quora blog, repurpose your original blog posts, or start off with a separate strategy for your Quora Blog. By using these tips and strategies, you can effectively use Quora as another source to generate business and establish yourself as an expert in your industry. If you are already using Quora, how do you use it for your business? What tips or strategies can you share about your participation on Quora?